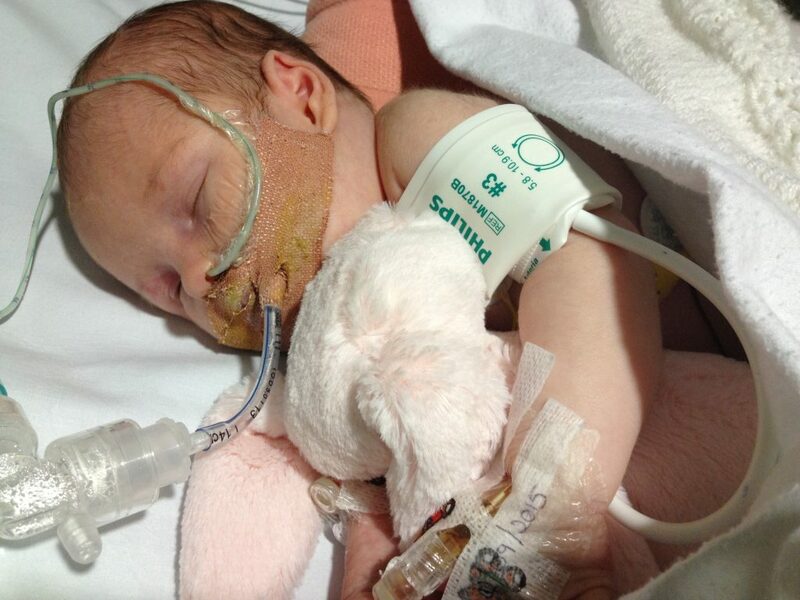 On September 9th 2015, when she was three weeks old, Helena’s breathing became heavy. By 3pm it was worse and she had gone a terrible colour. We dashed to the GP with her. About a minute after seeing her the paramedics were suddenly running in through the door and we were whisked by ambulance to the resus unit at Kingston. It all happened so quickly. When we arrived at Kingston a team of doctors and nurses were waiting outside for us. They stabilised her enough for her to travel to the Paediatric Intensive Care Unit (PICU) at St George’s, Tooting in a special blue pod. I remember them presenting me with her vest and then apologising they had to tear it – they needed to get in quick. At St George’s, Helena was put on a ventilator, tube fed, kept under a heater, and given morphine and adrenaline amongst other things. The fluids she was given made her face swell up so she looked quite different and she had lines coming out of all her appendages. The care she got was absolutely incredible and we will always be so grateful to the NHS. For the first 5 or so days she had one nurse looking after just her 24/7, constantly monitoring her. The work they did was so skilled and we felt she was getting the best possible care the whole time. Helena had sepsis, caused by two viral infections – enterovirus and rhinovirus (when she is older we will no doubt tease her about how she “over reacted” to getting a common cold!). Not only did the PICU look after Helena, they also looked after us. We were able to stay in a room over night in the parents’ area opposite the unit. Helena was at St George’s for 10 days and then spent a few more days at Kingston. We will always be so grateful to the PICU at St Georges. 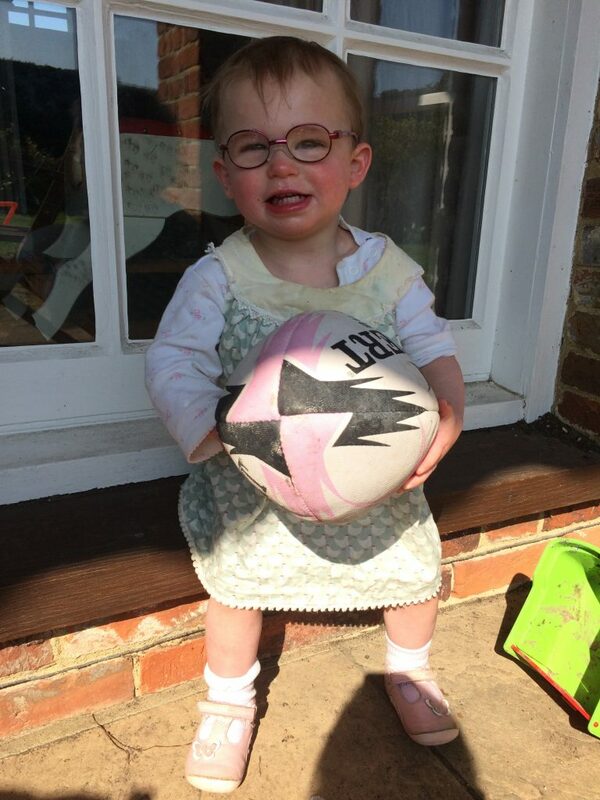 Thanks to them Helena is now a happy and healthy toddler! This entry was posted in Patient Journeys and tagged enterovirus, Helena, life support, paediatric critical care, PICU, rhinovirus, sepsis, virus. Bookmark the permalink.